Dimensions 0.60 by 5.25 by 5.75 in. 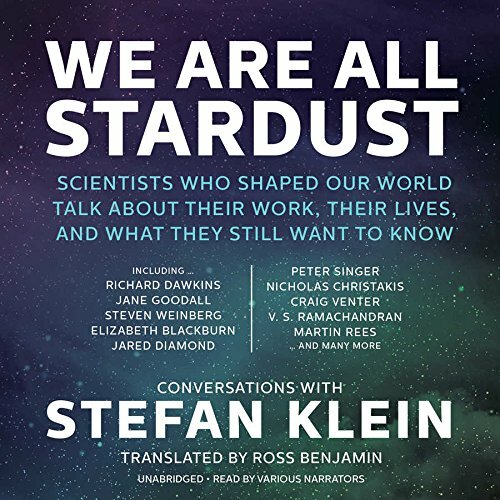 In this collection of intimate conversations with nineteen of the world's best-known scientists (including three Nobel Laureates), acclaimed science writer Stefan Klein lets us listen in as today's leading minds reveal what they still hope to discover-- and how their paradigm-changing work entwines with their lives outside the lab. From the sports car that physicist Steven Weinberg says helped him on his quest for ''the theory of everything''Â to the jazz musicians who gave psychologist Alison Gopnik new insight into raising children, these scientists explain how they find inspiration everywhere.